Greek Prime Minister Alexis Tsipras faces a confidence vote in parliament today ahead of the signing of an agreement resolving a decades-long name dispute with Macedonia. Athens had staked a historical and cultural claim to the name “Macedonia”. A northern Greek province uses the name, which derives from the ancient kingdom ruled by iconic Greek historical figures, most notably Alexander the Great. 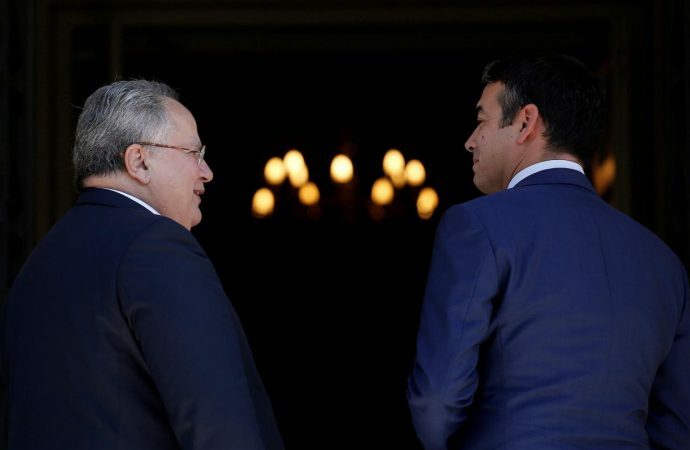 The issue has stirred nationalistic fervor in Greece, and stood in the way of Athens agreeing to Macedonia’s accession to both the EU and NATO. With both countries now agreeing on the name “Republic of North Macedonia,” Skopje can now move forward with joining both blocs. Greek nationalism, however, has not subsided. Today’s confidence motion has been brought by the opposition centre-right New Democracy party, claiming the agreement gives away too much to the Macedonians. While Tsipras’s government should survive the vote, it points to New Democracy—already 10 points ahead in opinion polls—stirring up nationalist sentiment ahead of a general election due by next October.